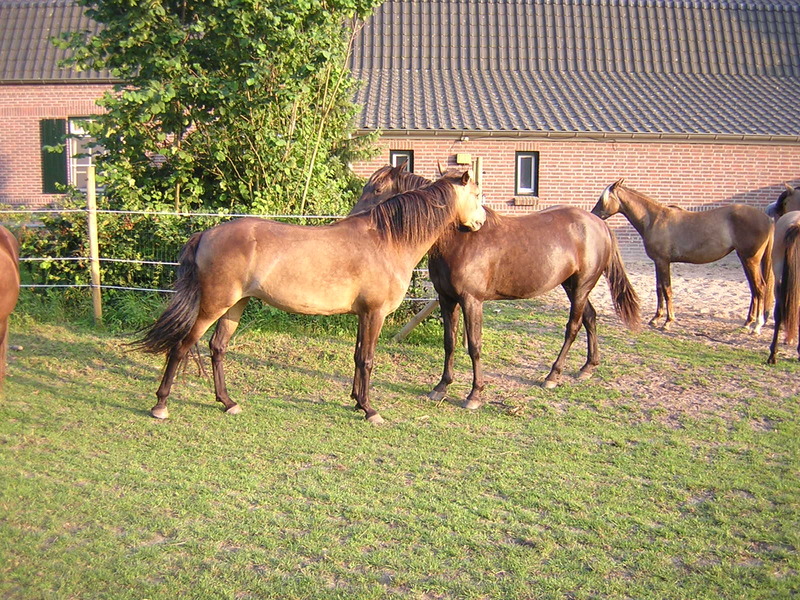 Welcome to Mountainhorses VMD, breeder of Mountainhorses in the Netherlands. The Mountainhorse is a unique breed that is as comparated to other horses more self confident, frendly to humans, and very reliable. They are not smal and not big in size, and can be ridden by adults. We, Angela van de Ven and Anton van der Sanden own Mountainhorses since 2011. 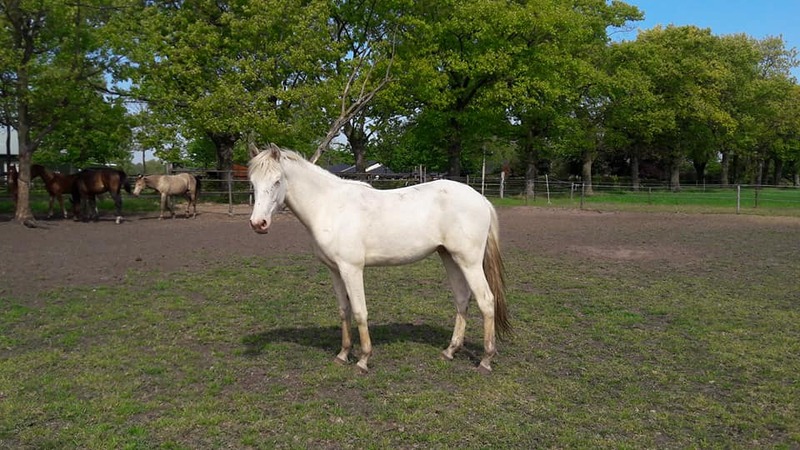 The reason why we chose this breed is because it is a breed we can ride with gait, because we have back problems, and I could not ride a horse any more because of this. There are three types of Mountainhorses, and we own two types: Rocky Mountain Horses and Kentucky Mountain Horses. In terms of construction and temperament, these equal. For more information go to breed information. The horses are well built and are very beautyful, and because of that most people are immediatly in love when they see a Mountainhorse. Mountainhorses have a special gait, singlefoot( this is a 4-beat and has no moment of suspension ) Ideal for riders with back, neck, pelvic and knee problems and other physical problems. You can take the horse out of the pasture even if you did not ride him for a while and still can and then allows you to ride safely. A few years ago I heard from the doctors “you can’t ride a horse anymore, because if you do than you can’t walk any more”. This because of my back problems, and with these horses I can ride again. So I was blessed again. We keep our horses in a herd in a natural way, so 24 hours a day outside, but they can always walk in the barn.